Health Infrastructure has built up a reputation as an innovative, collaborative and high-performing organisation. Our structure is based on the principals of integration: it takes a diverse range of skills and a complex process of collaboration to deliver the Government’s vision for health in NSW. That’s why we are experts in health planning, architecture, engineering, building, town planning, construction, surveying, assets, transitioning and commissioning, communications and change management. With over 90 projects underway across NSW, now is the time for passionate, skilled and committed people to join the team. See below to meet our executive leadership team: the professionals responsible for ensuring that we are up to the task of delivering the country’s largest portfolio of health capital works. You can also meet more of the team and read about their achievements over on our Linkedin page. Cathryn started her career in Health as a physiotherapist. She has extensive services and capital planning experience from roles in the previous South Western Sydney Area Health Service and NSW Ministry of Health. She is currently the Executive Director of both the Health System Planning and Investment Branch and the Strategic Reform Branch in the Ministry. 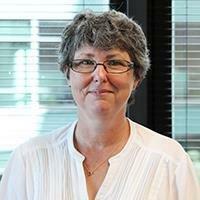 Cathryn has recently been appointed as the interim Chief Executive of NSW Health Infrastructure. In recognition of her contribution to health services planning in NSW, she was awarded a Public Service Medal in the 2018 Australia Day Honours. With her roots firmly in the soil of country New South Wales, Rebecca brings unique experience and a strong commitment to the role of Executive Director, Rural and Regional. Under her guidance, HI is delivering record regional and rural infrastructure, ensuring our more remote communities can access high quality, contemporary health care. Rebecca has led major infrastructure projects across the public and private sectors, working on health, justice, residential and environmental projects. Her first public sector role was planning and delivering venues for the Sydney Olympics…no mean feat! She has also completed studies in landscape architecture and project management. Rebecca joined HI in 2008, and has progressed through various senior roles to take up the reins of Executive Director. She now acts as a mentor to other women in the business and construction industry, and has spoken at HI’s Women in Leadership series. As the Acting Executive Director, Northern Region, Gillian overseas projects from the Shire to the Central Coast, Newcastle and the Hunter. With over 20 years’ experience, Gillian’s expertise lies in the delivery of superior outcomes across the full project life-cycle through leading collaborative teams - motivating them towards achieving the best possible outcomes for the project. Gillian has qualifications in civil engineering and project management and has worked both nationally and internationally in property and project delivery roles. These roles have ranged from site management to development and project management across a multitude of sectors including commercial, residential, environmental, health, transport and education. Gillian’s passion is delivering great results for the communities in which her projects are located. With a career spanning over 30 years, Bruno has a long history of delivering infrastructure projects to benefit the community. During his time with HI, he has developed a reputation for a client and community focussed approach to project management. Bruno has led multiple complex major health facility redevelopments in partnership with LHD stakeholders, and has acquired an in-depth knowledge of our health service requirements, and a focus on fostering and growing a strong team environment. As a keen traveller, when he does stand still, Bruno finds it immensely rewarding to stand in an operational health facility, looking around to see how the combined contribution of the project stakeholders has provided a positive impact on individuals, the environment and, local communities. Amongst other academic achievements, Bruno is a graduate of the Sydney University John Grill - Executive Leadership in Major Projects. As Executive Director, Development and Innovation David is right in the thick of strategic planning and innovation. His team works across HI to support the development of policies and processes; provide advice and expertise; and advocate for more efficient technologies and applications to support the business. David is as passionate about his work as he is about sport (i.e. very!) With a development background in the health, rail and aviation sectors at home and abroad, David is an experienced leader and an expert in strategy, collaboration and stakeholder relations. David joined Health Infrastructure in 2008, and has held several senior roles as the business has grown, developed and changed. David led the Westmead Redevelopment and was instrumental in the collaboration of multiple precinct and government stakeholders across greater Parramatta. David is now especially motivated by technology and innovation, with his sights firmly set on developing hospitals equipped for the future. Sally is an expert in people. Specifically, understanding them and working with them to provide the skills, tools and knowledge needed to drive individual and organisational performance. At HI, she is focussed on enabling a high performing, sustainable culture. Sally’s qualifications include a Bachelor in Vocational & Adult Education, Graduate in Change Management and Masters in Strategic Human Resource Management specialising in Organisational Development. Accreditations in numerous psychometric and behavioural assessment tools add to the feathers in her cap. 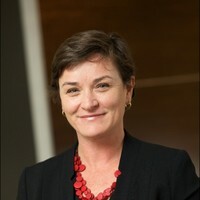 Sally has worked in senior executive roles across private and government sector industries such as Westpac, Australian Stock Exchange, Boral, Qantas, and for the last 14 years predominantly in construction, engineering and infrastructure industries such as John Holland, Laing O’Rourke. Having worked across the Asia Pacific, Europe and the Middle East, she has now settled back into the land of Aus and Health Infrastructure. As Director Corporate Services, Tony gets a kick out of taking care of business. He has had an extensive career in financial services, treasury management, and investment and capital markets. His roles have spanned a range of investment banking and treasury operations management to portfolio and risk management roles with major Australian companies, international banks and community not-for-profits. In these roles he has led business transformation initiatives that delivered operational efficiencies and tangible cost savings. As an advocate of good corporate governance, Tony has led the development, implementation and delivery of robust operational systems, and risk management and regulatory compliance frameworks in recent years. He has also worked with Boards and Chief Executives to develop and implement strategies that drive innovation. Tony holds tertiary qualifications in science, finance, accountancy and is a Fellow of the Australian Institute of Company Directors.